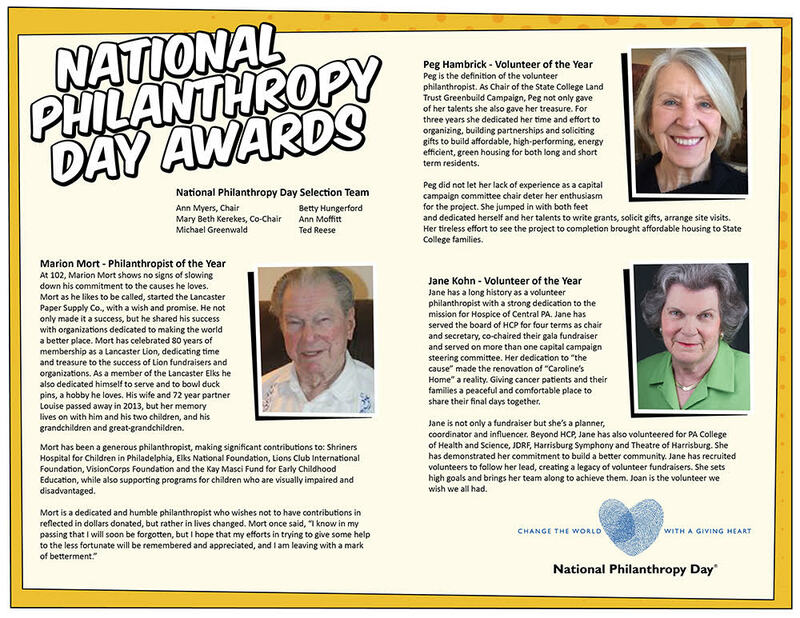 National Philanthropy Day® is a special day set aside to recognize the great contributions of philanthropy - and those people active in the philanthropic community - to the enrichment of our world. Evidence of direct gift support and its impact on the community. Evidence of encouragement and motivation to others to take leadership roles in philanthropy. Description of participation in and financial support to other nonprofit organizations. Description of philanthropic support to innovative approaches to problem solving. Description of time, effort, and personal commitment to philanthropy. Evidence of recruiting and motivating others to be committed to philanthropy. Description of participation in other nonprofit organizations. Description of career achievements, length and tenure of fundraising background, and experience. Evidence of experience, leadership, creativity and involvement in the advancement of the fundraising profession. 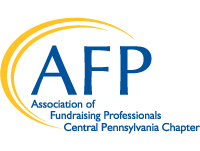 Membership in professional organizations, commitment to continuing professional development, and evidence that the individual adheres to the AFP Code of Ethical Principles and Standards of Professional Practice. 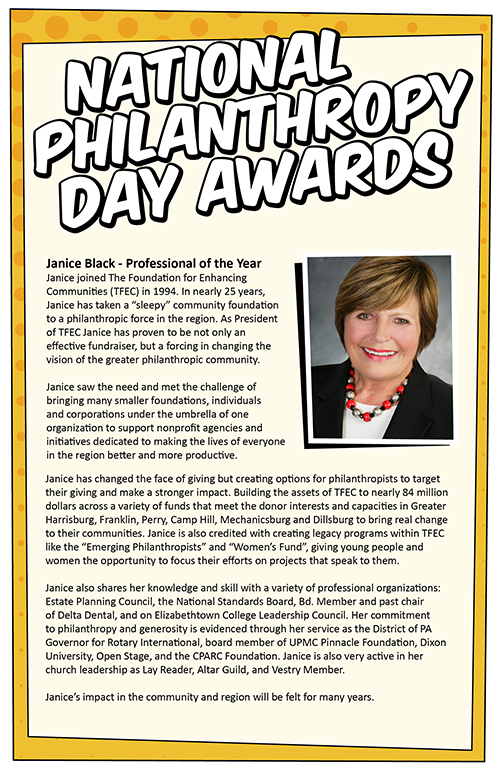 Evidence of commitment to fundraising and philanthropy through participation in other community nonprofit organizations.